When training dogs, positive reinforcement - and giving pups a chance to stretch their legs - go a long way. 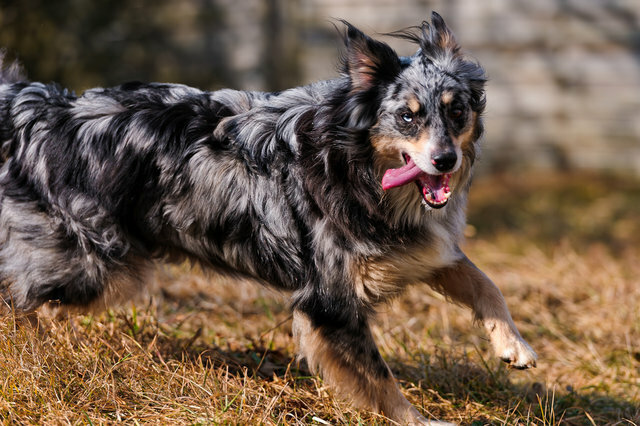 In a survey of more than 800 farmers working with over 4,000 herding dogs in rural Australia, University of Sydney researchers found that eschewing electrical shock collars in favor of food treats and words of encouragement leads to more successful pooches. "The role of conscientiousness in handlers is particularly interesting as it is relevant to the best handling and training methods," states Dr. Paul McGreevy, a veterinarian at the University of Sydney and an author of the recent PLOS One study. "We know that good animal training is underpinned by consistency and timing." A successful dog, as defined by the study, was one who went on to work as one of an estimated 270,000 working dogs in Australia's farms after a training period. The use of shock collars led to fewer successful dogs (though only 7 percent of those surveyed reported using these collars); the results of the survey "suggest that e-collars are not providing a solution to the performance problems," the scientists write. Improving the dog-handler bond, on the other hand, appears to make a difference. The more a dog was exercised, or given positive reinforcement - like a pat on the head or a snack - the more likely he or she would be successfully trained. Not only do a handler's actions influence the success of a dog-in-training, but the disposition of a handler toward his or her canines also has an impact. Taking a view of dogs as "companions," rather than "workmates" or "employees," leads to greater training success. The survey's results add to a growing body of evidence that dog behavior - good or bad - reflects how they have been treated by humans.